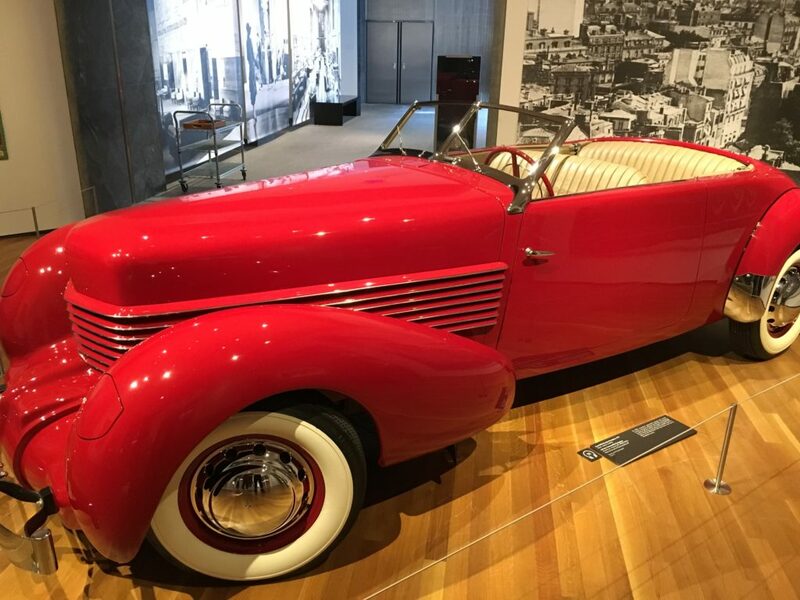 I’m admiring a candy apple red, 1937 Cord 812 Phaeton Roadster, one of over 400 items on display at “The Jazz Age: American Style in the 1920s”, an exhibition at the Cleveland Museum of Art. Built by the Auburn Automobile Company of Auburn, Indiana, this dazzling, front-wheel-drive beauty debuted at the 1935 New York Auto Show. Joining the Cord at the exhibition is the 1925 Rolls-Royce Piccadilly Roadster, another example of the wealth ushered in during the “Roaring Twenties. The era following the end of World War I, they reflected a time when America began flexing its creative muscles in areas such as fashion, art, film, architecture, interior design and, of course, music. Circling the Cord, I envision millionaire Jay Gatsby, the title character of F. Scott Fitzgerald’s 1925 novel, “The Great Gatsby”, cruising the roads of West Egg, the fictional Long Island, New York town during the summer of 1922, Daisy Buchanan at his side. 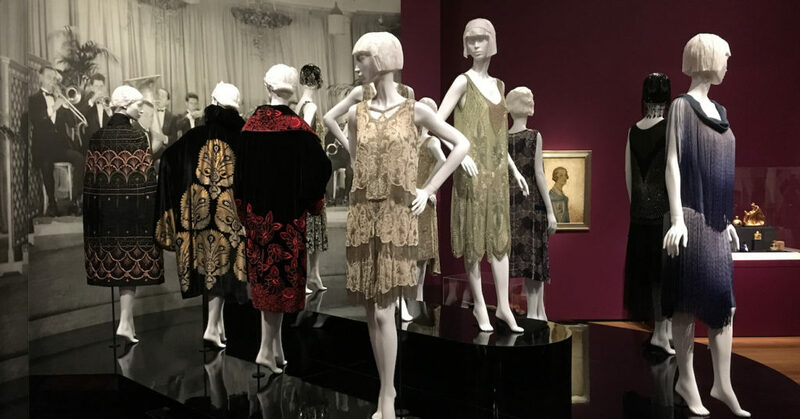 Navigating the exhibit, I see furnishings, jewelry, lavish tea sets, ornate clocks, gorgeous vases, porcelain figurines, intricate floor-to-ceiling murals, wallpapers, masterfully tooled cigarette cases and holders, and an entourage of mannequins sporting “flapper girl” dresses. The multi-media experience, which took about 90-minutes to peruse, provided me a window into a time when Americans traded in their post-war malaise and reinventing themselves as innovators, activists and, well, funsters. The automobile, at the time being mass-produced (think Henry Ford’s Model T) in bustling factories, introduced a new-found freedom for families to travel. Thanks to the 19th Amendment to the Constitution, women could vote and, between an explosion in radio stations, record players and phonograph records (annual sales were around 100 million in 1927), young people flocked to clubs to dance the Charleston, the Black Bottom and the Lindy Hop. Though the feds enacted the Volstead Act in January 1920—it banned the production and sale of “intoxicating liquors” and shuttered every bar and tavern in America—it didn’t stop people from getting their drink on. Walking through the exhibition, I came upon a stylish sterling silver flask as well a martini shaker cleverly disguised as a dirigible, evidence that Prohibition hardly prohibited imbibers from using ingenuity to fly under the radar of the law. As I browsed, music played softly via overhead speakers, featuring jazz entertainers of the era like Duke Ellington, Louis Armstrong, Josephine Baker, Jelly Roll Morton and Willy Smith. Among the show’s eye candy are pieces forged by Rose Iron Works, a family-owned business in operation in Cleveland since 1904. Specializing in decorative metalwork, the company’s “Muse with Violin Screen, is a spectacular example of the craftsmanship and artistry in its pieces. 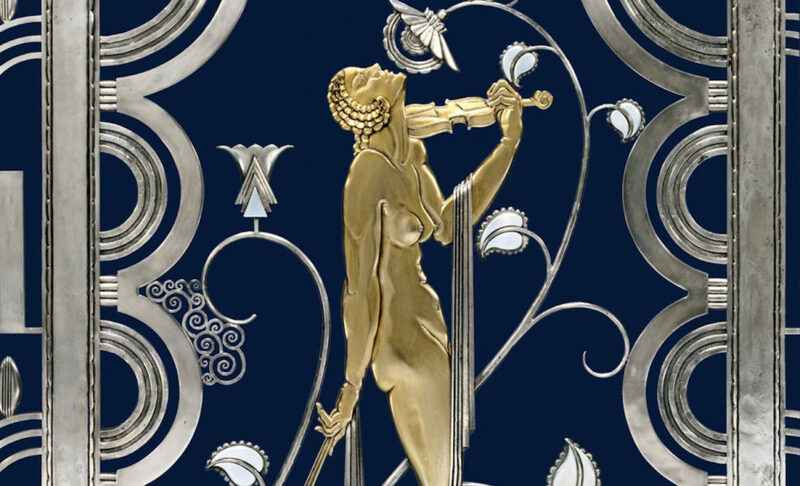 Evident at this exhibition are nods to the Art Deco style, a style first exhibited in Paris in 1925 at the Exposition Internationale des Arts Décoratifs et Industriels Modernes. From photos of iconic skyscrapers such as New York’s Empire State Building and Chrysler Building, to furniture and flatware, to artworks and jewelry, Art Deco is showcased. 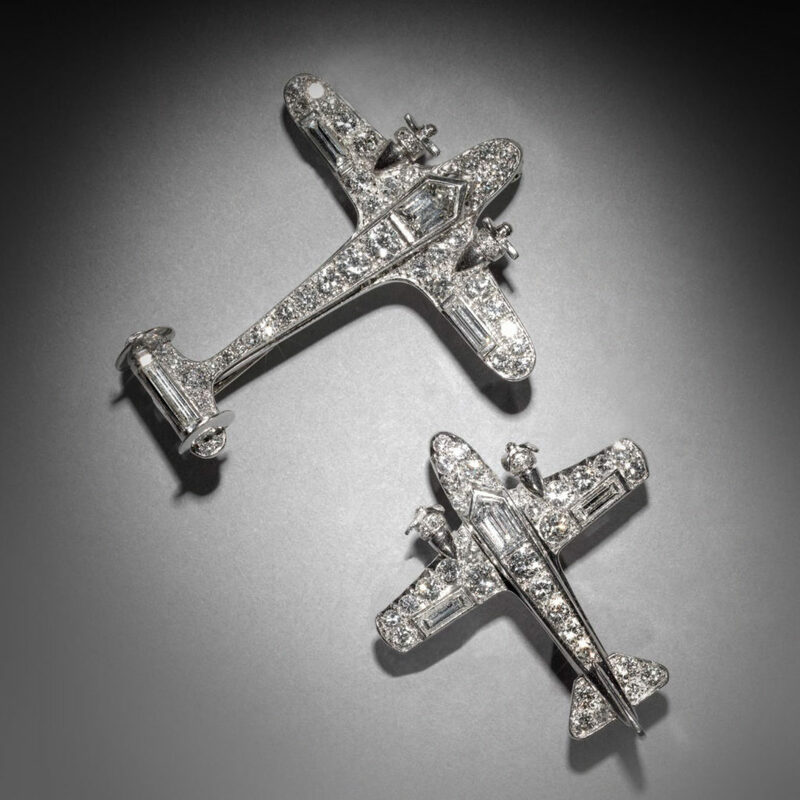 Reaching the last room of the exhibition, I reflected on how much attention to detail was paid to creating so many of the items, examples being the Orchestra Bracelet and diamond airplane brooches. The former, comprised of diamonds, platinum, carved onyx and cabochon sapphires, features eight jazz musicians and a band leader. The latter, which are from the collection of Neil Lane, are crafted from platinum and include single and twin tail models. After visiting the gift shop adjacent to the exhibition hall (available for purchase were books, CDs, DVDs, greeting cards and apparel from “The Jazz Age”) I ventured up one floor and across to the main museum building to explore other permanent and limited-time exhibits, including “Rodin—100 Years”, which runs through mid-May 2018 (http://www.clevelandart.org/events/exhibitions/rodin-100-years) . As with so many big city museums, this one is impossible to take in during one visit. But in the three hours I spent there, I was richly rewarded. The Jazz Age: American Style in the 1920s runs through January 14, 2018. General Admission: $15; Seniors and Students, $13; Children 6–17 and Member Guests, $7. Docent-guided tours are available Tues @ 11:00 a.m. and Sat. and Sun. @ 2:00 p.m. through Dec. 31. 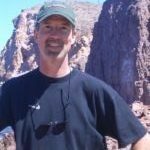 Audio tours are also available. Visiting the museum’s regular collections is FREE to the public. Two eateries, Provenance and Provenance Café, offer lunch options (I ate at the café and the food was excellent). The museum is closed Thanksgiving Day, Christmas Day and January 1. It closes at 4:00 p.m. on Christmas Eve and New Year’s Eve.